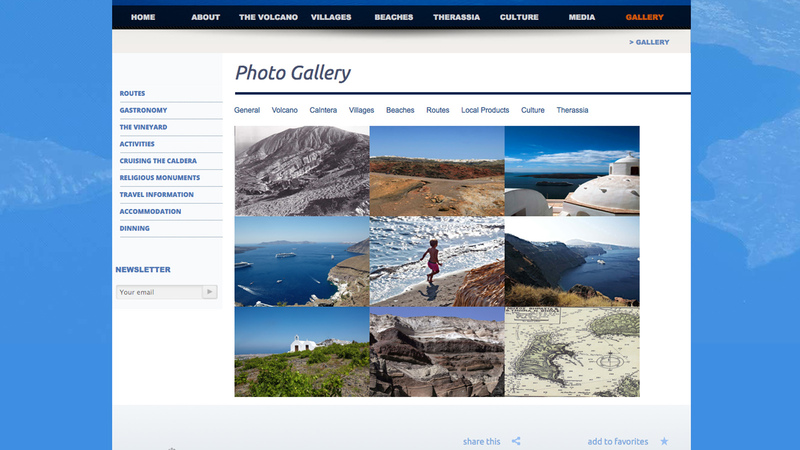 Our travel team provided all texts and photos for the web site of the Municipality of Santorini, which was translated in several languages (Russian and Chinese, among others). In this web site the visitor will find detailed information about the Attractions, the Secrets, the History, the Villages, the Beaches, the Culture, the Gastronomy and the famous Santorini Vineyard. Also, Routes and usefull travel information. One of the innovations is the Mini Guide, including links with all the sights worth visiting if you come to the island just for a few days, and a special menu whith suggestions if you travel with your family, friends, for you wedding trip etc. The gallery includes hundreds of high quality photos. 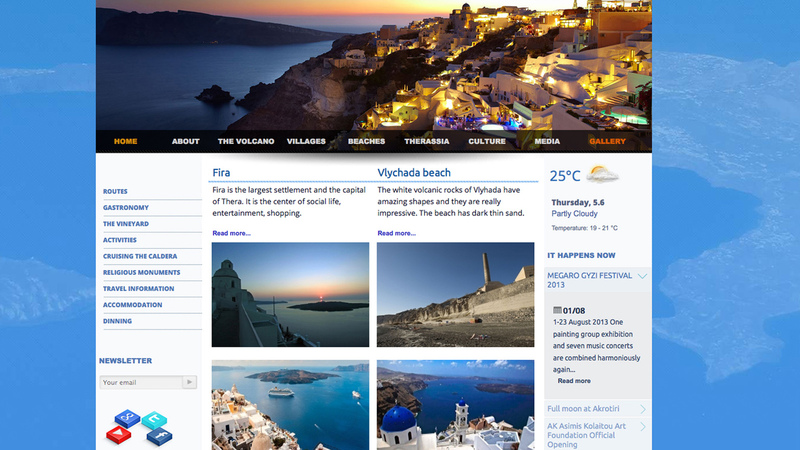 All texts and photos are original, created by the Experience Greece travel team. 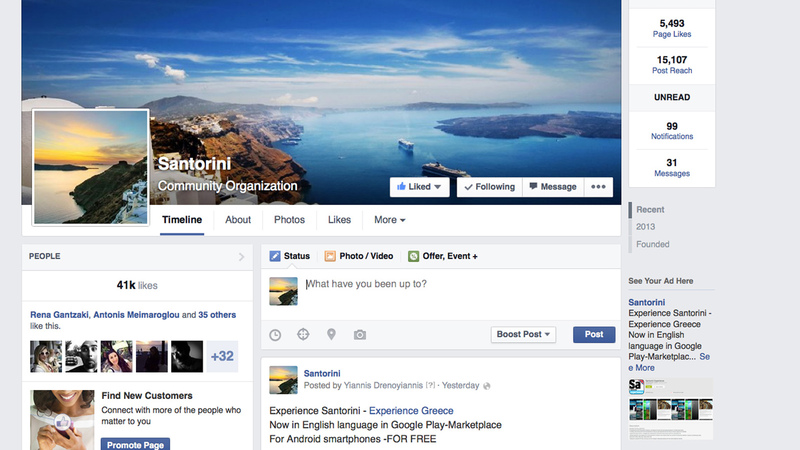 We are also administrators of the official Facebook page, which attracted thousands of new visitors.